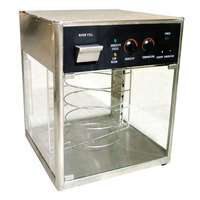 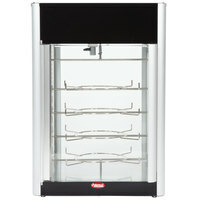 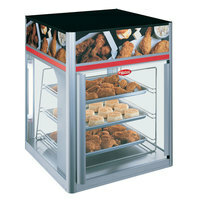 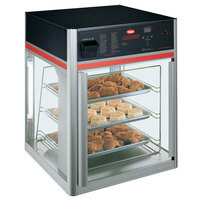 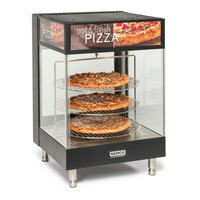 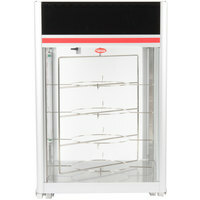 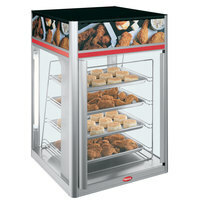 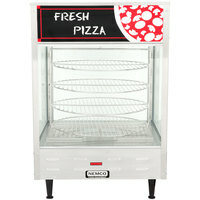 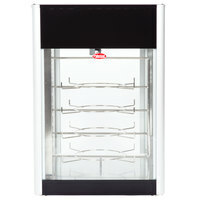 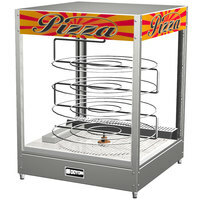 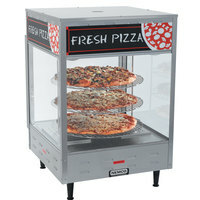 A pizza warmer is the perfect addition to your concession stand, convenience store, snack shack, or buffet. 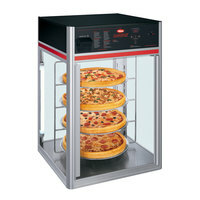 By using a pizza merchandiser, you’ll not only keep hot pizzas warm and out of the danger zone, but you’ll also increase impulse sales since guests will be able to see and smell tantalizing pizza pies. 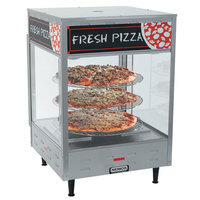 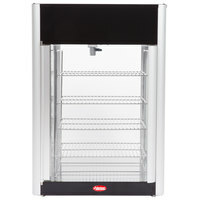 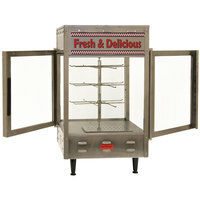 Our selection includes cabinets with different numbers of tiers, so you can set out multiple pizza flavors and styles. 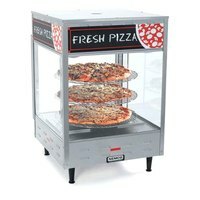 Each pizza display has a compact design, allowing it to be conveniently placed on the countertop next to your point of sale station. You’ll also appreciate that every pizza merchandiser features bold lettering or decorative decals that are visually-appealing to your customers. 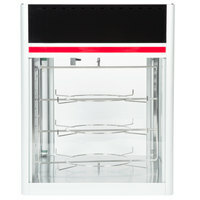 Select styles also have features like an illuminated interior or humidity control. 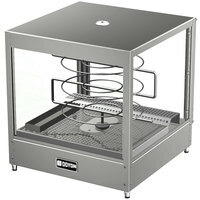 For an even more impressive display, we offer warmers with rotating racks to give customers a 360 degree view of your delicious cuisine.